Are you still figuring out your summer plans? 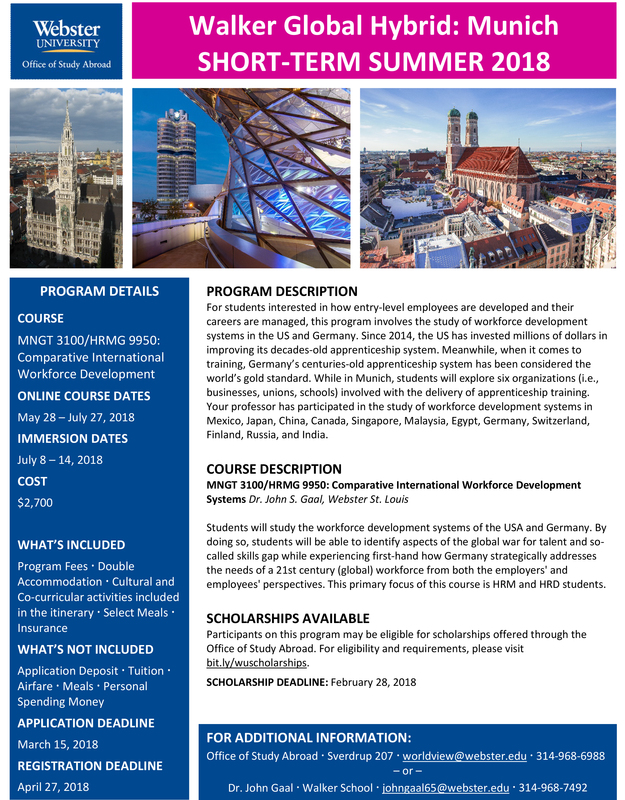 Why not consider taking a Walker Global Hybrid course! Webster is offering 5 fantastic programs in various locations for business students. 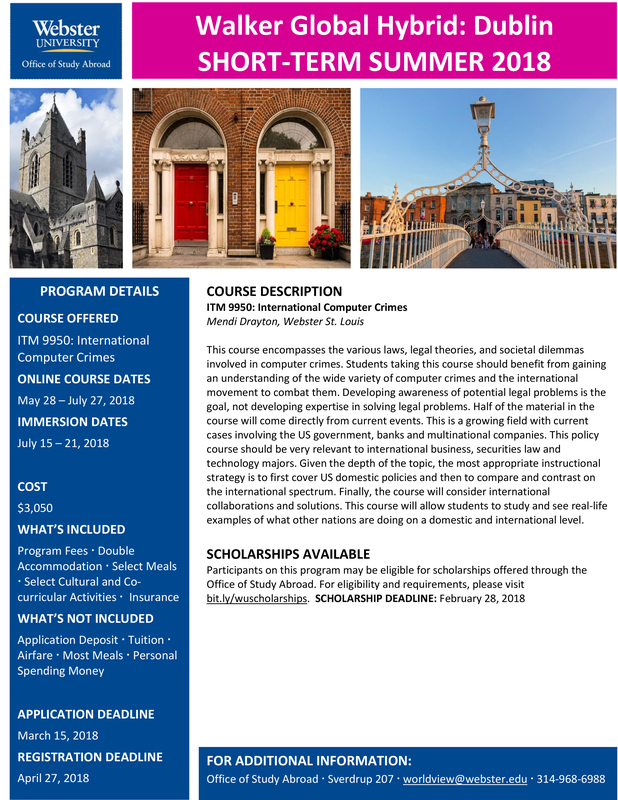 Walker Global Hybrid courses are 3 credit hours and consist of a blend of online and immersive travel learning offered by the Walker School of Business and Technology. 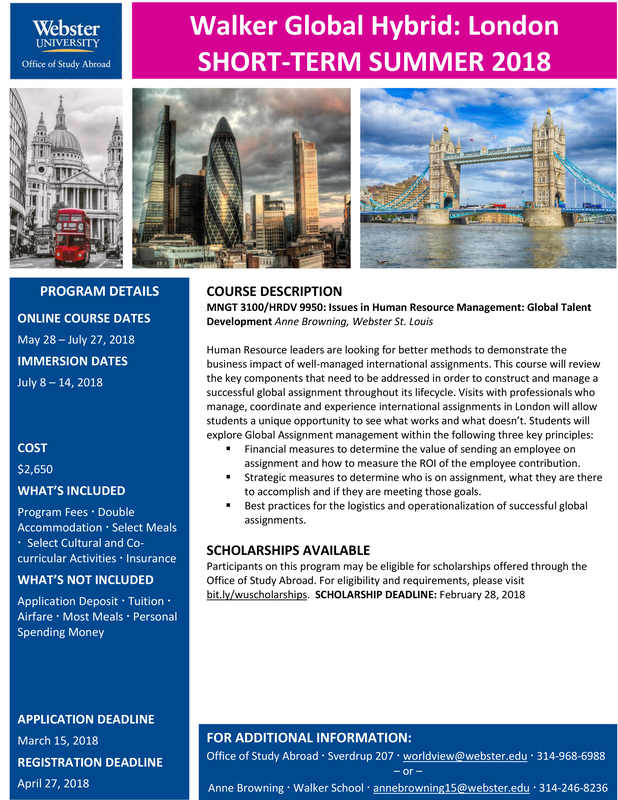 They are composed of 8 weeks of online work and a one week study abroad component, offering students the opportunity to explore a global business, technology or management issue in locations around the world. 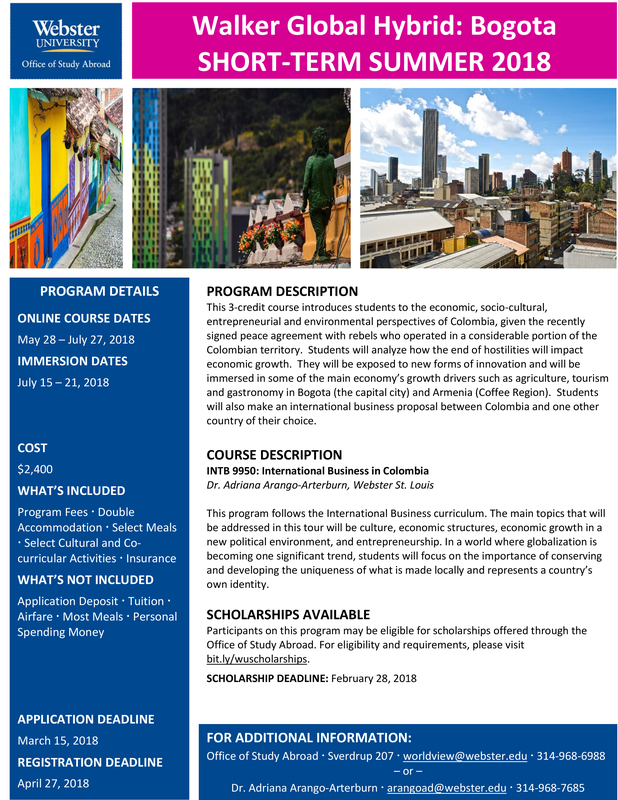 The application deadline is April 15th and you can apply through the Office of Study Abroad web site. Previous Article Did You Graduate During 2017-18?